Dollar Bay, Mich. – Though he’s 66 years-old, Chester Marcol said he’s never had more of a purpose in life than he does now. Marcol has lived a turbulent life full of highs and lows. In the end it’s been his family and faith that carried through the tough times to a point in his life where he’s found peace. Born in Opole’, Poland in 1949, Marcol and many in his family moved to the United States when he was 15. They settled in the Thumb area of Michigan and he attended Imlay City High School. His family were farmers but Marcol quickly learned that farming was not for him. Having played soccer much of his life, Marcol was encouraged to try out for the school’s football team as a kicker. Marcol quickly learned he had a distinct advantage, not only over the kickers at Imlay City but kickers in general. He kicked soccer-style, a common style now but not so in the 1960s. “It started in gym class,” Marcol said. “I was playing soccer. Only the ethnic groups played soccer then. There were no soccer teams. We just played around. Actually, we used a volleyball in the gym. Not only was a soccer-style kicker a novelty in the 60s, but recruiting was in its infancy, too. Such an important part of any college football program today, recruiting wasn’t as all-encompassing back then. Sometimes the individual, who had the ability to play after high school, went unnoticed. Marcol found himself in that dilemma. “I knew in my heart I could get a free education,” he said. But no school offered Marcol a scholarship. Many college coaches never heard of him. But Marcol did know someone who would help open doors for him. John Rowan, a physical education teacher at Imlay City at that time, graduated from Hillsdale College and soon after Marcol received his high school diploma Rowan took him to Hillsdale and introduced him to the coaching staff. Marcol said his transition from high school to college took little more than a handshake. “The rest is history,” Marcol said. An NAIA school then, Hillsdale gave Marcol an opportunity to shine and he took full advantage. In the traditional sense, what Marcol said is true. Some, like Notre Dame’s George Gipp, kicked a field goal over 60 yards before but Gipp, and others, used the drop-kick style. Marcol’s 62-yard field goal on Oct. 19, 1969, helped Hillsdale College defeat Fairmont State, 20-13. Many others, including Tom Dempsey of the New Orleans Saints, have kicked field goals in excess of 60 yards since. Dempsey’s 63-yard field goal gave the Saints a 17-15 victory over the Detroit Lions in 1970. 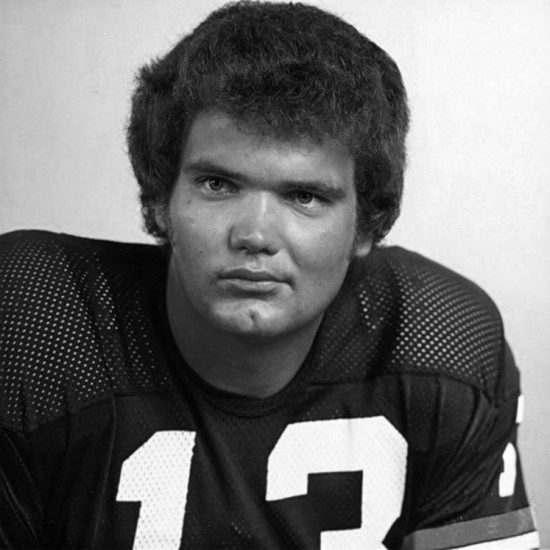 Despite some naysayers, Marcol was selected by the Green Bay Packers in the second round of the 1972 draft and Marcol made good as he kicked 33 field goals (48 attempts), led the NFL in scoring (128 points), was named all-Pro and NFC Rookie of the Year. Oddly enough Marcol said Tiger Stadium (where the Lions played at that time) was his favorite venue. 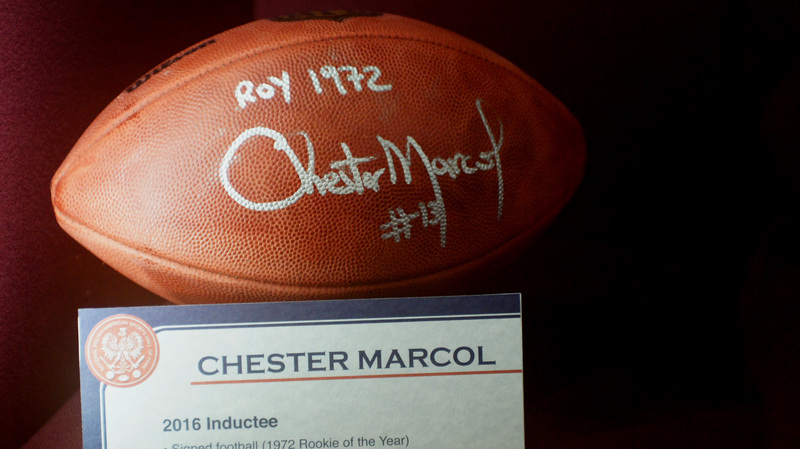 Marcol played nine seasons in the NFL and although he was not elected to the NFL Hall of Fame, like his idol, Jan Stenerud (Kansas City Chiefs), Marcol is in the Packers’ Hall of Fame. 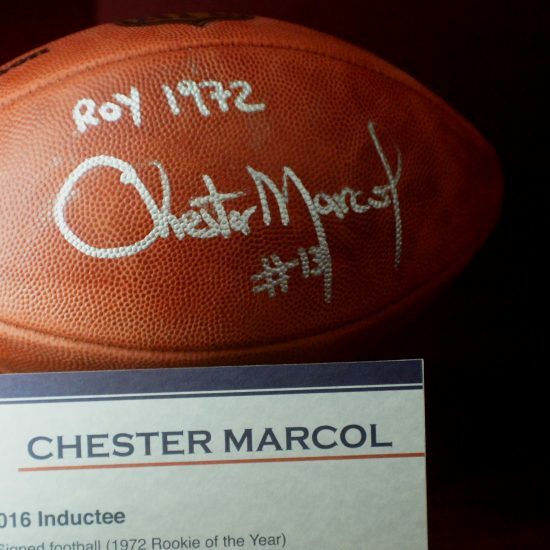 Marcol is quick to point out that Stenerud is the only place kicker to be selected to the Pro Football Hall of Fame. Marcol finished with 121 field goals in 196 attempts (61.7 percent). His longest professional field goal was from 52 yards. Late in Marcol’s NFL career he tried cocaine and soon became addicted. For years Marcol lived a troubled life. He even tried suicide. A more detailed account can be found by reading his book, Alive and Kicking. But the dark part of his life is over now. He’s been clean and sober for well over a decade. He’s now a clinical counselor for the Libertas Treatment Center in the Green Bay area. For six years he worked at the Phoenix House in Calumet in a similar capacity. Helping people with addictions has given Marcol a purpose and he said there’s nothing he’d rather do. “I’ve been blessed,” he said. “I’ve had some hard times. I’ve had some great times. I wouldn’t trade it for anything. I don’t consider this work. It’s my passion. It’s the best thing I’ve done. Kicking only lasts so long. The meaning of what I do now is so powerful. Marcol does one-on-one counseling, he works in group sessions and he works within families. Marcol often works 12-hour days. But like he said, it’s not work to him. He’s gone inside prisons to provide help but he said he doesn’t provide answers, he provides avenues. He said he’s proud to be Polish but in the Upper Peninsula and north of Green Bay he’s surrounded by the Finnish. He can’t remember the last time he ate Polish food. His selection into the National Polish-American Sports Hall of Fame will solve that problem if only temporarily.